PDX Bus - a free Open Source iPhone app for Portland bus and train times: Download version 3.0 now! Apple has approved version 3.0 of PDX Bus which is now available in the Application store. Trip Planning, at last! Thanks for the update, I use this app all the time. Quick question for you though - it seems to me that the real time arrival information has more or less disappeared. The busses appear to be giving real-time information, but the Max does not. My guess is that this is because of the heat - TriMet issued an alert as the hot weather makes the cables sag and the trains have to run slower, so my guess is they cannot accurately judge when the trains will arrive. Thanks for the quick reply. This is actually something that I've noticed for a while now, not something that has recently started. Mostly I do take Max, so perhaps it has something to do with that. Come to think if it, I have been noticing the same thing over the last couple of weeks, particularly with the Max. If it continues after the hot weather I may ask TriMet about it. glad I'm not imagining things. Thanks again for the great app. I love this app. I made the mistake of paying for the other pdx transit app. 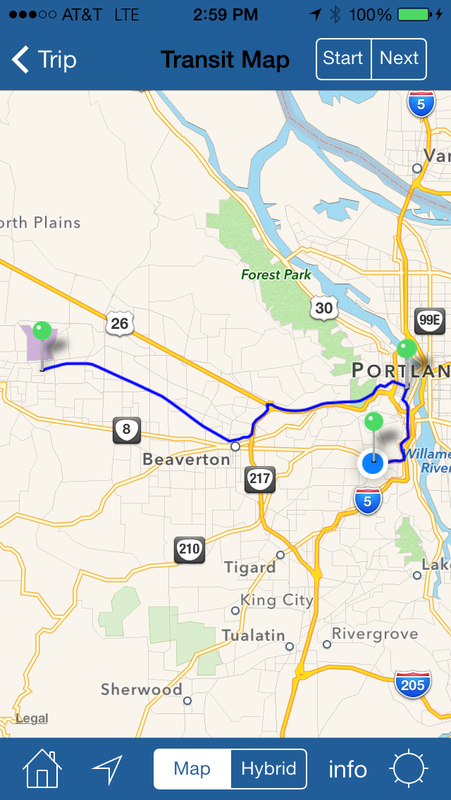 Your pdx bus app blows it away, and for free. Thanks for the update and all the hard work to keep this app amazing. Trip planning is reall awesome. Againg, thanks. I love this app but have been thinking since it came out it needs a better icon. Something that says, "Portland". The background image was shot by me so no issues with ownership. Nice idea for a background - I will probably have a similar picture that I could use (it needs to be pretty big for the other pictures shown on iTunes). (The current background is in fact the sky over crater lake, but only I know that!). my girlfriend has been trying to use PDX Bus with VoiceOver on the iPhone 3GS. The good news is that this app is 99% accessible. The bad news is that the missing part is quite critical. Specifically, VoiceOver will not read the stop names, all the buttons and the bus line information is read, but without the stop name it isn't a lot of use. If you could fix this issue, this would be an incredibly useful app for the blind community. Thanks Gordon - I just got a 3GS myself - I didn't know about voiceover, but now I see what you mean. I will look into how to make this work - it may mean having to change the way the page is displayed and making it an option. Thanks for the information. Gordon - it turns out that it is not hard to change the text that is spoken for each user interface element. I plan to make it also read the stop name for the first arrival for each stop. I think I can also fix the order so that it says "5 mins" instead of inserting the time in between. This will be in the next release. Excellent. She was thrilled to hear that. A lot of developers we've talked to are unfortunately not very interested in improving accessibility. The vertical layout of PDXbus is actually quite good for voiceover. One other thing: The blocks of grey descriptive texts are also not accessible. Not quite as critical as the stop names, but it would be great if voiceover could select this element as well. Again, thank you so much for being willing to incorporate accessible improvements into your excellent application. One other thing - she would really love it if the app could tell her when the bus is coming to her stop. The app does a pretty good job of this already, but it still requires manually navigating to the refresh button, then back to the bus she wants to monitor in the list. Perhaps you could implement some sort of auto-refresh so she could simply leave the voiceover cursor on the bus she wants to monitor and periodically tap it again to hear the most current arrival time. I would like to suggest defaulting to the main menu when you launch the app. I take one stop in the morning and two stops back home, and so I naturally check them in sequence. It's an ever-so-minor time waster when I have to wait for the app to load the stop I used previously, then go back to the main menu to look up my next stop. I wouldn't imagine the typical user is looking at the same stop every time - probably at least two (one out, one back in). Someone else also asked for a refresh so that part is already done (in the next release). It seems to work well with VoiceOver - it re-reads the first bus again. It seems to work best of the "auto lock" feature is not too short otherwise the iPhone will stop refreshing. I realized that the grey text (which is called the Section Title) is not spoken as it isn't selectable. I'm working on modifying what VoiceOver says to improve what each row says to get around this. Aha! There is an option to make the app default to the main menu. From the iPhone main screen choose the Settings app and then scroll down to "PDX Bus". The first group of options is "On startup show:" if you make "Last stop displayed" to be "OFF" then it will always start at the main menu. You can also make it put the bookmarks at the top so you won't have to scroll at all. I added the "last stop displayed" feature after several people requested it, I guess it is a matter of taste. I actually use it all the time - I will check the bus times and then do something else while I am waiting, then go back it PDX Bus. I made it optional as I wondered if some people wouldn't like it - so I'm glad I did that as now you can turn it off. Garciapierra - I added a new posting to the blog with a picture of the settings page just in case other people were not aware of the settings. Could you possibly include C-Tran schedules in a future update? 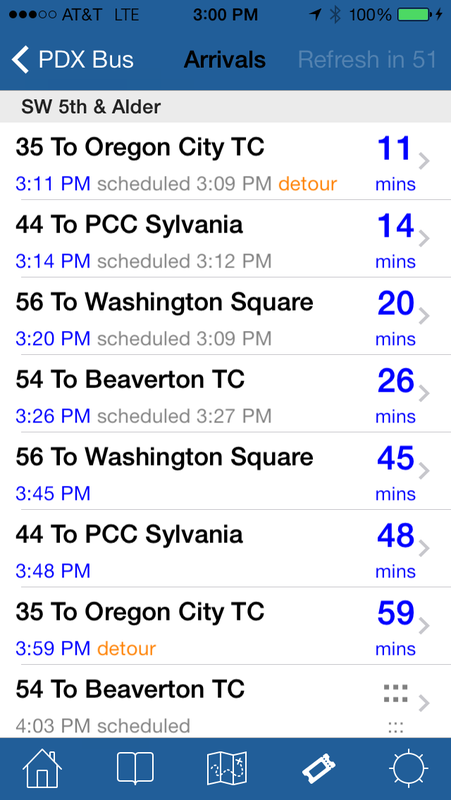 pilgrim - unfortunately C-Tran does not publish real-time arrival data like TriMet does. Maybe with all this recently publicity from TriMet, C-Tran may do it. (C-Tran doesn't publish their schedules for Google transit either). I would recommend contacting C-Tran to ask them what their plans are! 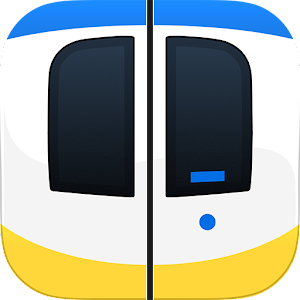 Gordon - the latest iPhone update from Apple - version 3.1 - fixes one of the VoiceOver problems - now it will read out the "section headers" which means that the stop names will be read out! I was just about to release my update that would also read this out information - now I'm going to remove that part as it would be annoying to have it read twice. I have made other improvements to the VoiceOver stuff which I will leave in place..